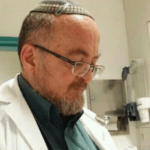 “The flavor comes from the spiritual connection of the holy grapes growing in the Land of the Bible, proving the fulfillment of the ancient prophecy,” Amichai replied. 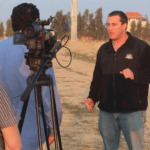 He immediately offered Amichai a job at his winery! 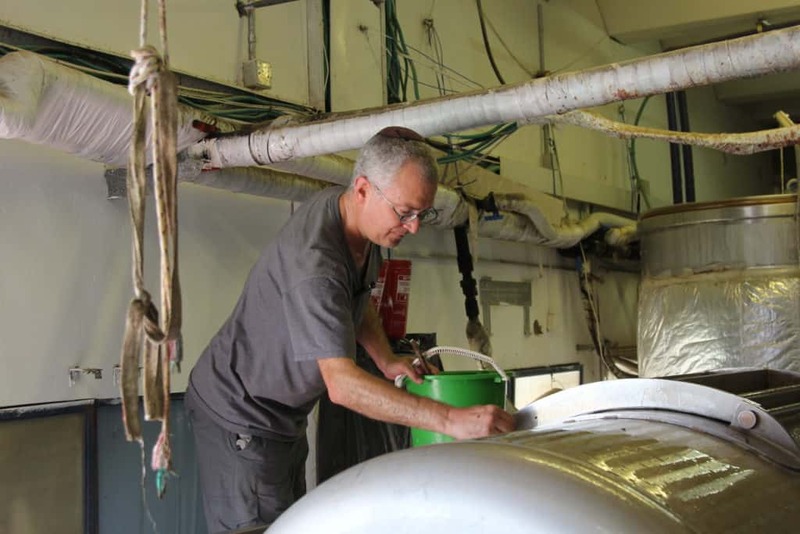 Amichai was under the illusion that winemaking was an easier job than his previous one, so he accepted the position. Boy, was he wrong! Amichali Luria in his vineyard. 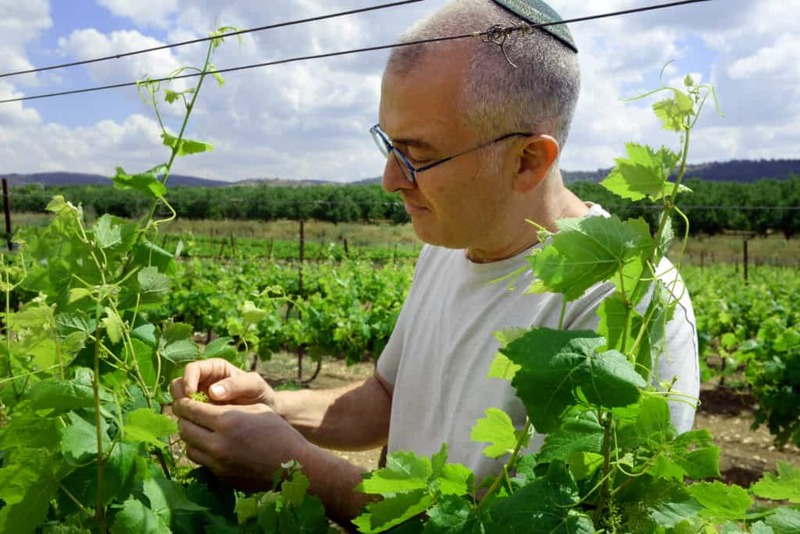 When Amichai joined the winery, it had just had its first harvest and had produced about 20,000 bottles of wine. Today, each harvest produces about 200,000 bottles of wine, many of which have won awards in competitions around the world. 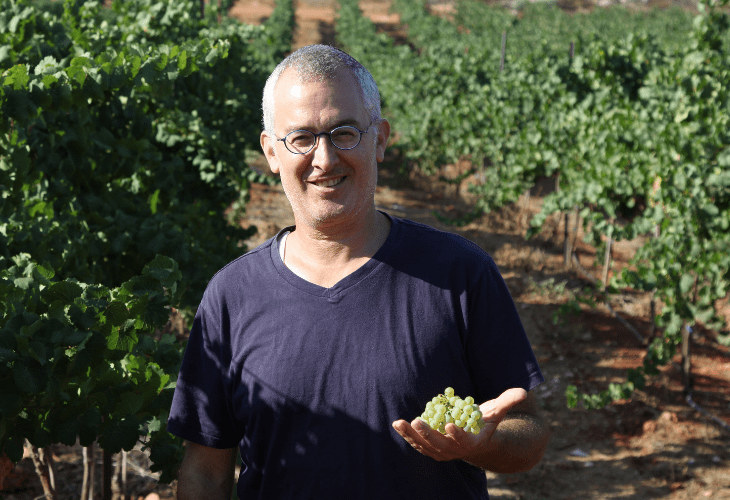 The winery buys its grapes from vineyards all over Israel, but particularly from Judea, Benjamin and Samaria, in the areas between Hebron and Itamar. Amichai working in his winery, ensuring the best quality of wine. 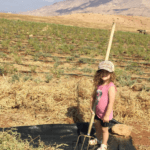 The decision to do business with vineyards in Judea and Samaria is practical. The grapes in this area are of the highest quality. The cool nights and warm days of the Judean and Samarian mountains, as well as the elevation (600-900 meters above sea level) are ideal for growing grapes. Shortly after the Israelites settled in the Land of Israel in biblical times, they placed the mobile Tabernacle permanently in the city of Shiloh. This city became a place of pilgrimage, where people came on each holiday to serve God and celebrate the festival. Towns were established and fields were planted on the surrounding hilltops and in the valleys. The land was discovered to have fertile soil for grape-growing and winemaking became popular, as can be seen from the archaeological evidence. 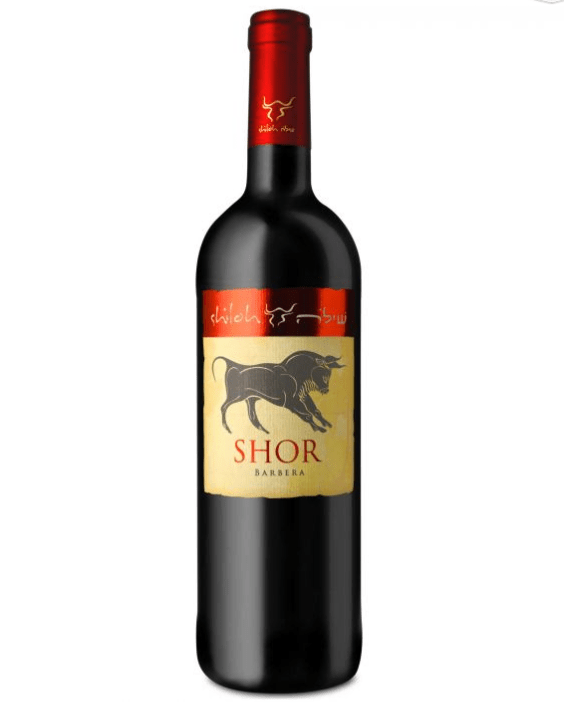 The Shiloh Winery chose the ox as their wine label symbolizing Joseph’s blessing from the Bible. Recently, right next to the vineyard, in Biblical Shiloh, a bull’s head was found carved on a five ton stone that was found at the entrance of the Ancient city of Shiloh. 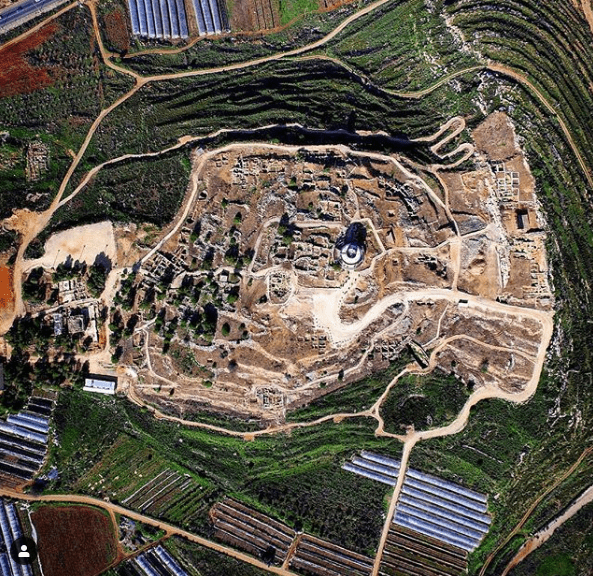 A drone picture of Ancient Shiloh. Making wine in the Benjamin Region is not always easy. Even in periods where terrorism is held in check and the region enjoys relative calm, international forces interfere with anti-Israel campaigns. The BDS movement attempts to force Israel to endanger its citizens by forming a Palestinian state inside its borders. 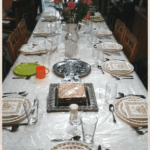 Amichai has now made it possible for people to order this prophecy wine from his website and have it delivered directly to homes throughout the United States.